Jason Bateman and Once Upon A Time‘s Ginnifer Goodwin have signed on to star in Disney’s upcoming animated feature Zootopia. Not to be confused with the Zoolander sequel, Zootopia takes place in a city populated entirely by anthropomorphic animals, with neighborhoods standing in for different ecosystems. Goodwin will voice a bunny who works as a meter maid but aspires to be a cop. With the help of a con artist fox (Bateman), she tries to solve a mystery that could unravel the fabric of the city’s multi-species society. It may or may not be a good sign that the film has three directors, but it probably bodes well that two of them are Byron Howard (Tangled) and Rich Moore (Wreck-It Ralph). The third is co-director Jared Bush, who also wrote the screenplay. 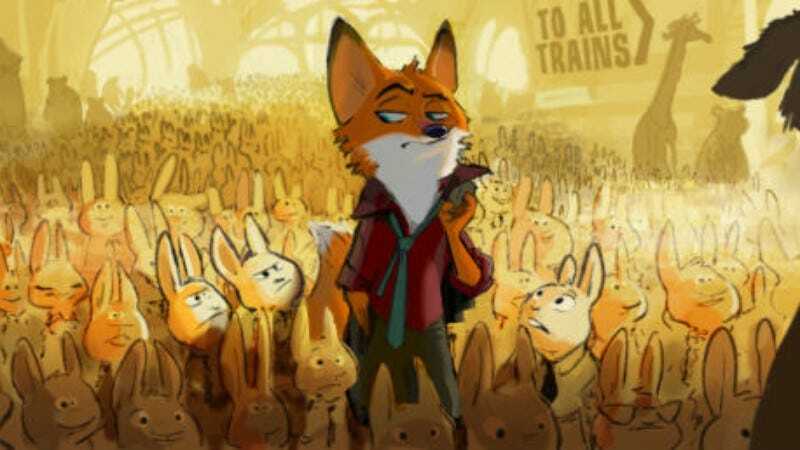 Zootopia is set to hit theaters March 4, 2016, as part of a busy spring that will also see the studio release Alice In Wonderland 2 and Marvel’s Captain America 3.